The tragic death on March 18, 2018 of a pedestrian in Arizona struck by an Uber self-driving car raises issues as to whether federal and state officials are prepared to deal with the self-driving vehicle technology that industry players are expected to deploy by 2020. Forty-nine year old Elaine Herzberg was struck and killed by a self-driving Uber Volvo XC90 SUV as she walked her bicycle across a street in Tempe, according to the Tempe Police Department. The Uber vehicle, which was estimated to be going 40 mph in a 35 mph zone, had an emergency backup driver behind the wheel, even though it was operating in self-driving mode at the time. The crash is the second time in less than a year that a self-driving Uber vehicle was involved in a collision in Tempe. Last March, an Uber sports utility vehicle was hit and rolled over onto its side when another vehicle failed to yield, according to police. This fatal collision punctuates a string of unfortunate crashes involving self-driving vehicles. General Motors Co.’s self-driving unit, Cruise Automation, told California regulators its vehicles were involved in six crashes in the state in September 2017. The automaker said its vehicles were not at fault for the accidents, and that there were no injuries or serious damage. As of October 2017, GM Cruise vehicles reported 13 self-driving vehicle crashes to California regulators for that year. Waymo, the self-driving division of Alphabet, Google’s parent company, reported three crashes for the same period. In June 2016, a 40-year-old man was killed in Florida when his self-driving Tesla Model S rammed into an 18-wheel truck. The man was reportedly watching a Harry Potter movie while his car, which used a computer vision-based detection system, attempted to drive under the truck at full speed. In February 2016, a self-driven Google Lexus that was preparing to turn collided with the side of a bus in Mountain View, California. At that time, Google said that its self-driving cars had been involved in 11 minor accidents. The fatal Arizona collision highlights the dangers that can lurk when states compete to attract companies developing self-driving technology. Arizona has been lenient in its regulation, and in April, California is expected to allow companies to test self-driving vehicles on its roadways. At the federal level, lawmakers are also signaling distaste for a heavy-handed approach. 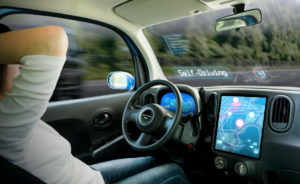 A Senate bill, which has cleared committee, if passed would free self-driving vehicle manufacturers from existing safety standards and preempt states from creating their own regulations. The House has already passed a similar bill. Meanwhile, Uber has pulled its self-driving cars from the roads in the wake of the March 18 tragedy. Investigators say that, at this time, there are no significant signs that the self-driving Uber attempted to slow down prior to hitting the pedestrian. While self-driving vehicles offer many benefits, clearly there is still work to be done. The lawyers at Feldman Shepherd Wohlgelernter Tanner Weinstock Dodig LLP are pursuing personal injury claims arising out of Auto Defects and Crashworthiness. Contact us if you or a loved one has been injured.